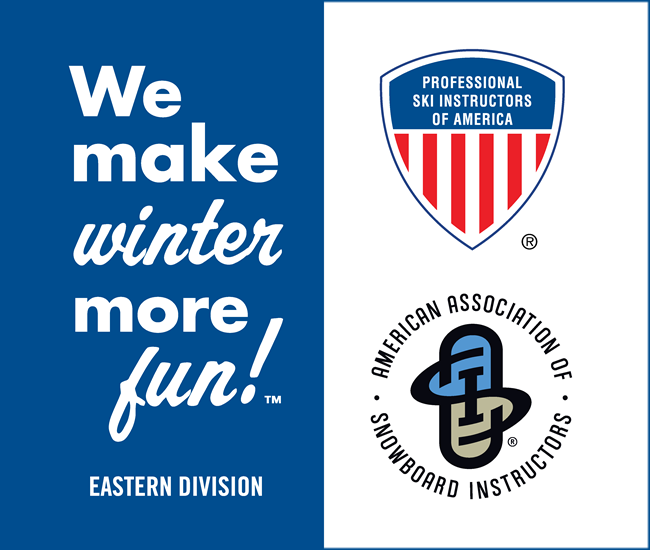 Click here for more information about the PSIA-E Feature Race Events. Click on the (+) to reveal the event description. This course will help you to coach movement patterns of modern racing, mogul and off-piste skiing. Learn how to determine cause-and-effect relationships in the tactical application of skills. Develop activities that promote the adjustment and adaptation of skills to task and terrain. Use movement-specific analysis to assess technique. Use situation-specific analysis to assess tactics. The design of this two-day course is to give the ski teacher/coach a comprehensive view on gate drills and course setting. Participants will understand the application of all gate types and how their use can enhance specific skier outcomes. Learn how to use gate drills to build a progression for skier improvement and use skill specific free skiing drills designed to develop modern slalom and GS techniques. There will be lots of coaching on both ski technique and race tactics. Timed runs through the gates will be held if conditions and venue permit. Giant Slalom training provides the foundation for solid free skiing skills. There will be lots of coaching on both ski technique and race tactics. Timed runs through the gates will be held if conditions and venue permit. Slalom is the most technical event in ski racing. There will be lots of coaching on both ski technique and race tactics along with timed runs through the gates. Participants should be prepared for both GS and slalom training. Explore methods to improve the ability to personalize coaching and instruction for each athlete or student. Gain a deeper understanding of how technique and tactics play a supportive role in upper level skiing and racing. Accurately relate how the body moves to effect specific ski-snow interaction in advanced terrain situations, i.e. gates, bumps, steeps, ice, powder, etc. Expand the working understanding of tactical options in advanced terrain and gates, coupled with desired advanced movement skills, i.e. skidding vs. carving, un-weighting, accelerating vs. decelerating turns, cross-over vs. cross-under movements. Learn the skills and strategies to construct an individualized learning experience (drills/focus) based on student/athlete’s unique attributes within a short time frame.